Commodity trade is the overall process of trading products without qualitative differentiation, meaning products are considered the same regardless of the producer. In most cases these products are raw materials which are used in many production processes. To get an idea of the different type of commodities view our industries pages. Commodity trade takes place on regulated exchanges all over the world. On an exchange, futures contracts are traded. These are standardized contracts which record the quality and quantity of a commodity that is being traded as well as the price and delivery date. There are a number of actors active on the commodity market or who depend on this market to buy and sell their products. These actors are, in different degrees, affected with the activities that take place on these markets. They are however not only affected by the activities but also play a role in generating activity on the market. The producers supply the input for the commodity market. Without them there wouldn’t be any products to trade. Producers have two advantages when they sell their products on the commodity market. They will sell their products before they are actually realized. This way they minimize the risk of imbalance of the market. They can match their supply to meet the demand. Hereby minimizing the risk of over or under supplying the market. Producers can also cover themselves against adverse price movements by selling their products for a pre determined price. This protects them against lower prices, but also excludes them from possible higher prices. The industrial end-users do not directly negotiate prices and other specifics with the producers. This is usually done by commercial intermediaries. There are a number of reasons for end-users to rely on intermediaries for their supply of materials instead of governing this aspect themselves. First of all it can take a lot of time to find the goods with the required quality on the market, whereas specialized intermediaries can perform this task much faster. A second advantage is that intermediaries are able to create the best possible balance between the end-users need for a zero-inventory and producers need for production liquidity. Thirdly the commodity market presents an opportunity to reduce cost risks. By using futures and forwards, the risk of adverse price movements is reduced. Lastly when end-users agree on a contract with an intermediary, the market risks are transferred to the intermediary. Trading companies or independent traders perform an essential role on the commodity market. They negotiate an acceptable price with both producers and buyers. Thus creating a balance between supply and demand, upon which the market price is based. Furthermore they not only arrange a price for both parties, but also manages the physical products. 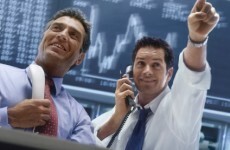 Hereby the trading company obtains risks concerning the inventory and volatile prices. In many cases a trading company will maintain an inventory of a commodity for industrial transformation of a commodity. Due to the time delay between producers and end-users, trading companies need to constantly hedge their commodities to protect from price differences due to the time delay between acquiring the product and delivering it. The physical commodity market is an over-the-counter ( OTC) market, where two parties agree on a contract to deliver and buy a commodity. These contracts are in many cases unique because they are set up in such a manner that they meet the specific needs of both parties. A contract is however not written from scratch for every single transaction. Usually a standard contract from a leading company is used as a basis for an individual contract. Thus a contract is relatively standard, with the exception of certain aspects. A number of aspects are determined for each contract. First of all the quantity of the commodity must be determined, to be able to settle the other aspects of a contract. The quantity can be expressed in a lot of different measurement units. It can be expressed in a metric unit, an Anglo-Saxon unit or in a traditional measurement unit such as a barrel or bag. Contracts usually have a clause which arranges for a third independent party to verify the quantity of a delivery. Quality is an important aspect of a contract. A number of requirements will be determined which must be met by the supplier. Depending on the commodity, the degree of importance of the quality may vary. When a contract uses optional qualities, a difference in quality can be compensated by the use of premiums or discounts. These aspects must be specified in the contract. The price of the commodity is obvious an essential part of a contract. The other sections of the contract all generate input for determining the price. A price can be settled in many different ways, ranging from a fixed price to a market related price. The delivery of a commodity is an essential part of a contract, because delivery can form a significant expenditure. Therefore it is important this aspect is covered in the contract, so both parties know which aspect of delivery will generate costs for them. There are different methods for determining which party and to which degree is responsible for the transportation of the commodity. These responsibilities are standardized in a number of international transport terms, called Incoterms. By using incoterms, the risk of misunderstandings regarding transport responsibilities can be almost eliminated. Apart from the shipping method and responsibilities, the delivery location will be mentioned in a commodity contract. For many commodities, there are designated locations upon which the exchange of the physical commodities takes place. These standardized locations will be used in many of the commodity contracts. There is however also the possibility of agreeing on a different location upon which the delivery will take place. This will depend on the negotiations between two parties. Commodity trade is a highly complex process involving different aspects which all need to be managed properly in order to meet international requirements and more importantly increase profits. Agiblocks offers an innovative and easy-to-use solution for managing all aspects of commodity trade, from contracts to invoicing, creating deliveries and managing risks. The flexibility and endless possibilities of Agiblocks provide you with an unique chance to take full advantage of the opportunities presented by the commodity markets. Click here for more information on Agiblocks. 2009 - 2018 Agiboo BV - All rights reserved.